Manila, 22 October 2017 - Governmental representatives from more than 30 Parties to the Convention on Migratory Species (CMS) today concluded proposals that will pave the way for greater recognition of the role of wildlife in achieving global sustainable development goals. 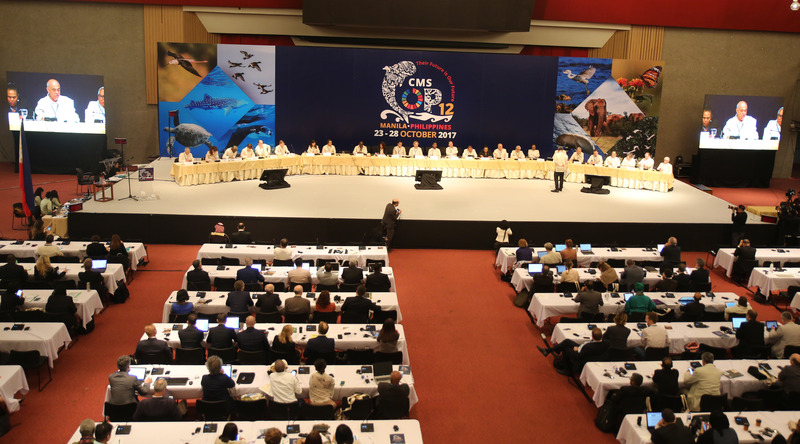 The Manila Declaration on Sustainable Development and Migratory Species will be considered for adoption to the Twelfth CMS Conference of the Parties (COP12), which opens in the Philippines tomorrow. The draft Resolution underscores the importance of wildlife to national and global economic activities, including those related to agriculture, forestry, fisheries, energy, tourism, transport, mining, medicine and trade. At today’s CMS High Level Panel, 37 members including Government Ministers, Senior Officials, Executives of International Organizations and representatives of global NGOs, private sector and UN Environment Environment Global Goodwill Ambassador Yann Arthus-Bertrand met for three hours to debate the draft resolution. It highlights the links between sustainable development and the conservation of wildlife with a special focus on migratory species and the United Nations Sustainable Development Goals. 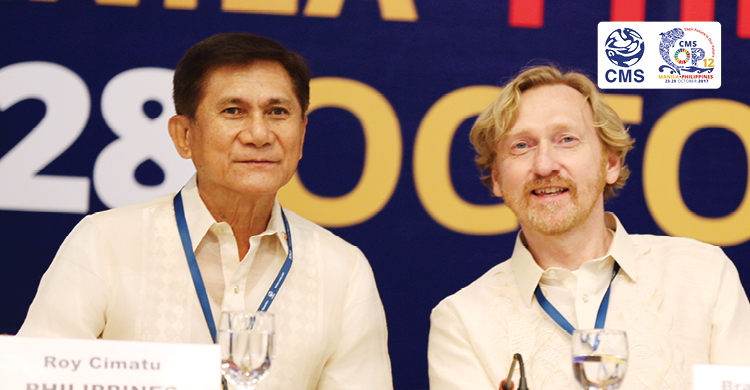 Bradnee Chambers, Executive Secretary of CMS said: “The Manila Declaration and the commitments therein will significantly strengthen calls for global recognition of the contribution of wildlife and migratory species to sustainable development. At its core, the Declaration is a conscious decision to align international goals to protect wildlife with the UN’s 2030 Agenda on Sustainable Development. Included in the Declaration is a call for countries to develop national laws to implement their obligations under the Convention in line with the Sustainable Development Goals. It also invites the private sector to participate in discussions and align its policies and practices with the objectives of the Convention. If adopted, the Declaration will be transmitted to the United Nations General Assembly, the High-Level Political Forum on Sustainable Development and the Third Meeting of the United Nations Environment Assembly.